With the holiday season in full swing you are sure to be invited to countless gatherings to celebrate. As I'm sure your mothers' taught you, like mine taught me, when you head to a party bringing a gift to the hostess is a must. Here I have for you ten hostess gifts that I know I, and I'm sure anyone else, would be ecstatic to receive. I personally like to bring something a other than a bottle of wine for two reasons, first everyone brings a bottle of wine and I like to be different, and second if someone can't have wine then they're stuck with a bottle they can't enjoy. Any hostess would be glad to get one of these luxe gifts and will be sure to bring you something great next time they come to visit you. 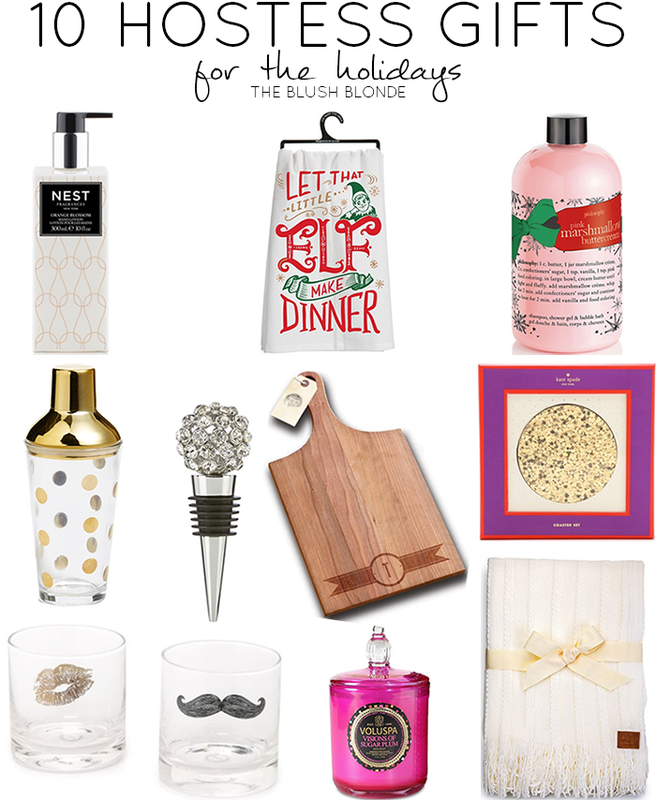 While I do love everything on the list I would have to say my favorites are the super fun Kate Spade Glitter Coasters and the yummy smelling Voluspa Visions of Sugar Plum Candle. What is your favorite thing to give as a hostess gift? 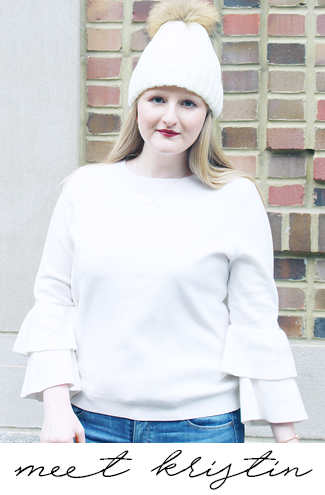 Welcome to Tutu Tuesdays a linkup with The Blush Blonde and The Fairy Princess Diaries! This week in addition to our usual linkup Jordyn and I have a fun holiday project we've decided to incorporate into Tutu Tuesdays. Blogging is a wonderful social outlet that has allowed us to make so many new friends all over the world and we want to help bring a little holiday cheer to our blog friends with a Tutu Tuesdays Secret Santa Gift Exchange. Each participant will fill out a sign-up form with some personal info to help ensure you get a gift you love. Participants will then be randomly assigned a partner whose survey information will be sent to them directly via email. Each participant has roughly three weeks to shop for a gift for their partner and mail the surprise. Is it bad that I still haven't really been to the type of party where you bring a hostess gift?! I feel like I'm missing out on something. Though when I lived with my ex milliions of years ago and we had a housewarming party for our new place, some of the people brought us gifts. I love all of these ideas! The next (first?!) time I'm invited to a party, I'll have to bring one of these. Especially that wine bottle topper! That elf towel is adorable! Great picks! I especially love those mustache glasses! So cute!